Discussing the Genealogical Proof Standard, James Tanner at Genealogy's Star asks What is Reasonable? Where do I search? Earlier this week, he also shared his alleged cousinship to William Shakespeare. Though he appears to have some doubts. The Illinois State Genealogical Society announces the debut of The Insider's Guide to Illinois Genealogy. Lee Drew at Family History with the LineageKeeper shares an extensive list of archaic job titles and what they mean. Taco Goulooze, from It All Makes Census shares a newspaper article from 1890 headlined, The Census Killed Him. He also shares an article concerning the 1940 census. Apparently, for the first time in that year, they surveyed mobile homes. Michael Stern Hart, inventor of electronic books, and the founder of Project Gutenberg, passed away on Sept 6. A New York Times article discusses a recent son's discovery that he had 149 half-siblings through his sperm donor father. Tears don't flow the same in space. 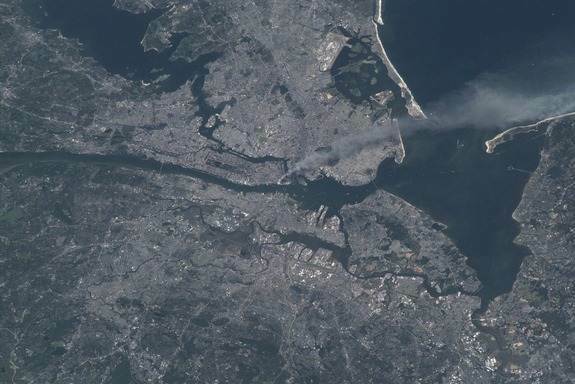 International Space Station astronaut, Frank Culbertson, shares his 9/11 story. Several individuals who usually have posts listed below took a vacation this week. It might have something to do with the Federation of Genealogical Societies Conference in Springfield, IL.